North Charleston, SC—During his opening remarks at American Atheists’ 2017 National Convention, David Silverman made the following statement. 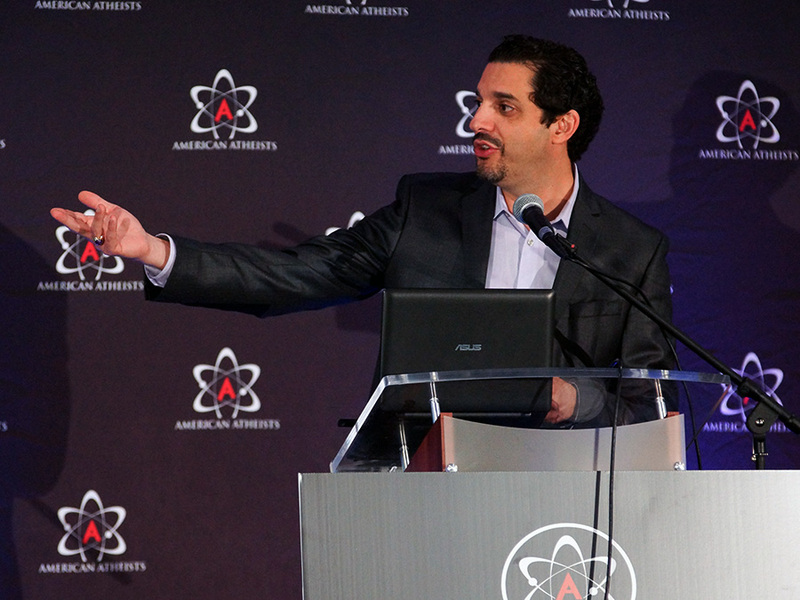 I’ve been an activist for 21 years now, and I’ve been honored to serve as President of American Atheists for seven. I would like to open this convention with a statement of exclusion. I’ve been an atheist activist for 21 years and throughout that entire period I have banged the drum of the big tent atheism. I have strived to include everyone in this community, Democrat or Republican, Libertarian or Socialist, conservative or liberal; everyone has been included in our community as far as I am concerned. Reasonable people can have reasonable disagreements about reasonable topics. That’s what it means to be an American. And to be an atheist. But we’re living in a very different country and a very different world. Our tent is big, because we need to raise awareness of our breadth and ubiquity. Our tent is big, because infighting and division can kill a movement. Our tent is big, because our job is big and our work is hard and we need all the help we can get. So to be clear, and I can’t believe I need to say this from the stage, if you are a person who believes white supremacy is “reasonable,” if you believe bigotry against other people because of their race or gender or sexual orientation is morally acceptable, if you think good people can march alongside Nazis, our tent is too small for you. I don’t want your money. I don’t want your membership. And I sure as hell don’t want your friendship. The atheists who side with religious bigots against the cause of equality are no friend of mine. I have far more in common with the Christian who strives for equality than I do with any atheist, no matter how outspoken, who advocates hatred. Featured image courtesy of Brian Engler.